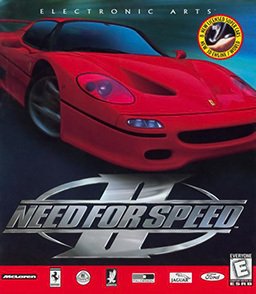 Re-released as Need for Speed II: Special Edition, featuring extra content and Glide support. Installing on 64-bit systems requires a workaround. See Installing on 64-bit versions of Windows. 640x480; use nGlide for higher 4:3 resolutions. Supports all sorts of DirectInput devices. Keys and axes have to be manually bound. Fan-made installer can be downloaded from nfsplanet.de. It comes with required compatibility tweaks and nGlide wrapper. Start Glide.exe shuts down explorer.exe for the time of running the game. Create a new folder named NFS2SE, somewhere on your hard disk. to NFS2SE folder on your hard disk. Change an extension of INSTALL.NFS to WIN (INSTALL.WIN). To fix most of compatibility issues you're going to need a 3dfx wrapper (recommended nGlide) and a small system compatibility patch. Download nGlide and install it (default settings should work fine). Download compatibility patch, extract it and run PatchInstall.bat. To run a game use NFS2SEA.EXE - this exe file uses 3dfx. NFS2SEN.EXE is for software renderer only. Run the program and create a new profile for the game. If ALchemy is unable to run properly on your pc, then try the alternative method fix by copying the dsound.dll from a Windows XP installation. Copy it and put it in the installation folder just where nfs2sea.exe is. Despite being able to run in 3dfx mode, the software mode of NFSIISE (NFS2SEN.EXE) is unique for being the only way to play with dashboard view camera and it is the version that preserves the original style of the game. It can be used for both NFSIISE software mode (NFS2SEN.EXE) and NFSII (NFSW.EXE). To solve problems with audio that may appear, follow the "Fixing sound issues" guide. Multiplayer: 14400bps or Faster Modem (2 Player), Null Modem Cable (2 Player) and/or IPX-Compliant Network Card (2-8 Players). One CD Per Computer, unless using Remote Installation. Mouse, Any DirectInput Compatible Controller.